For those unfamiliar with a browser's incognito mode, when enabled it allows you to visit any website without the browser adding the site to your browsing history. In other words, it allows you to browse the web without anyone knowing the sites you visited. With that in mind, you should know that many third party keyboard apps keep track of the words you type in order to understand your typing style. But that means that the app will remember words that you might have wanted to keep private. Many mobile keyboard apps have their own incognito mode, like the very popular SwiftKey. This prevents the app from storing the words that were typed. To enable incongito mode on SwiftKey, users have to turn on incognito mode for their browser and on the keyboard app. The problem is that sometimes users forget to turn on the incognito mode for the keyboard, and all of those naughty words they typed could come back to haunt them. 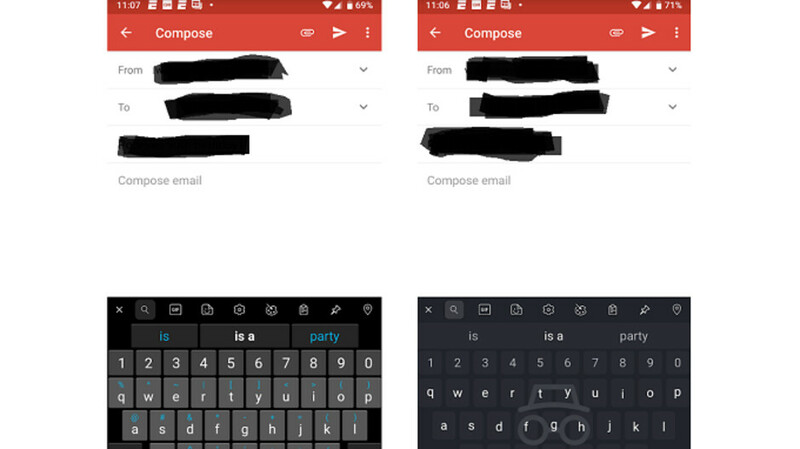 But there is a solution that is being tested on the SwiftKey beta app, found in the Google Play Store. As spotted by SlashGear, the app has added an automatic incognito mode that will put the keyboard into incognito mode once it detects that the browser is already set for privacy. This will work with most Android browsers, and you'll be able to tell if the keyboard's incognito mode is on thanks to the face overlay and the gray background (see images at the top of this article). Be forewarned; as with any beta, you could experience some bugs with the app. If you'd rather not test this new feature and want a stable version of the third party keyboard, you can always install the regular SwiftKey app by clicking on this link.